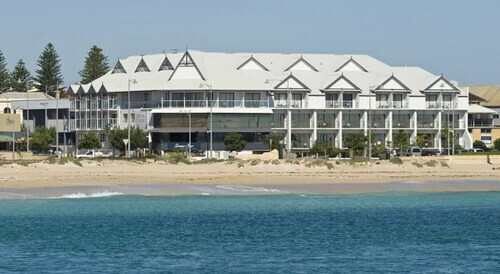 Very happy with our stay at Ocean Centre Geraldton. 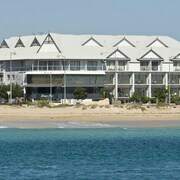 We will be staying here again when in Geraldton. 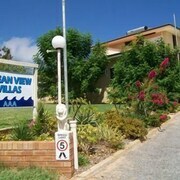 Fully recommend staying there and we will be staying there next time we're in Geraldton. 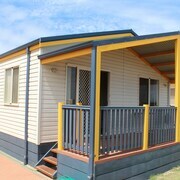 Used as a base for a short stay in Geraldton of 5 days. 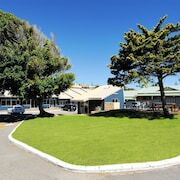 Which hotels are closest to the Geraldton airport? 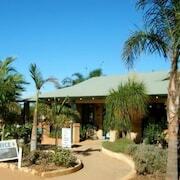 Where to stay near top Geraldton attractions? What kind of hotels are in Geraldton? 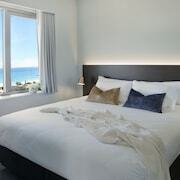 Which hotel chains are in Geraldton? Visitors to Geraldton are sure to enjoy the seaside. 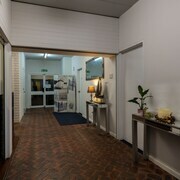 In Geraldton, there are 19 hotels and other accommodations to choose from. The closest major airport is in Geraldton, WA (GET) 10.4 from the city center. Cultural venues in the city include Old Geraldton Gaol Craft Centre and Museum, Western Australian Museum, and Geraldton Regional Art Gallery. The city's natural setting is picturesque, including the seaside and these places to visit: Geraldton Beach, Pages Beach, and Hell's Gate Beach. Exploring the waterfront is a top activity, and Geraldton Fisherman’s Wharf is one place to visit. 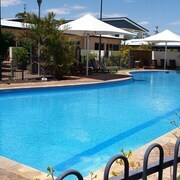 Broadwater Mariner Resort - This 4-star apartment features an outdoor pool, free parking, and a spa tub. It's a favorite with Expedia travelers for its beach locale and pool. 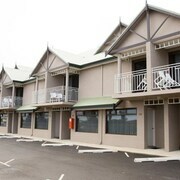 Mantra Geraldton - Our customers like the beach locale and overall value at this aparthotel. With a stay at this 4-star aparthotel, guests can enjoy access to a restaurant and an outdoor pool, along with an in-room kitchen. 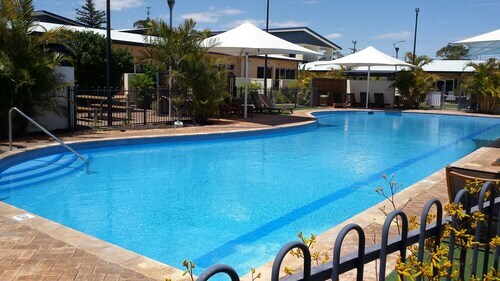 Waldorf Geraldton Serviced Apartments - With a stay at this 4-star apartment, guests can enjoy access to an outdoor pool and free parking, along with an in-room kitchen. Expedia customers like its beach locale and pool. It’s time to discover why Geraldton is a destination for couples and families from all over the world. Put the beauty of Western Australian at your fingertips when you voyage to this port city to visit beaches and wildlife parks. Relax on the sand all day at Town Beach before witnessing the sunset, or visit top attractions, such as Greenough Wildlife Park, Lavender Valley Farm, the Waminda Wildlife Sanctuary, and the Point Moore Lighthouse. Meanwhile, the Mediterranean climate here creates sunny and warm summers and winters that make surfing and windsurfing popular all year long. If you’re ready for a holiday filled with gorgeous views and simple pleasures, now is the perfect time to book accommodation in Geraldton. 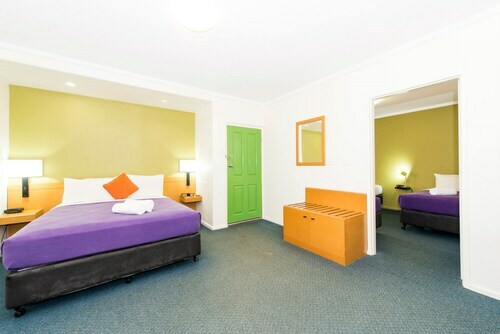 If you’re looking for a place to stay that fits your lifestyle, you’ll be impressed by the family-friendly hotels in Geraldton. Of course, couples and solo travellers will also find plenty of hotels and resorts that offer healthy doses of pampering. Expedia.com.au offers exclusive hotel offers at your fingertips. 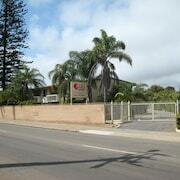 If you’re all about convenience, land directly at Geraldton Airport (GET) at the start of your trip. You can use the TransGeraldton bus system to get around town easily once you arrive. In addition, you can hire a car for the freedom to sightsee on your own schedule. Many people also choose to hop on bicycles to explore the scenic streets of Geraldton. 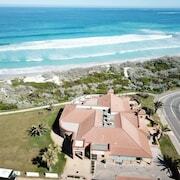 When it comes to relaxing holidays in nature, it doesn’t get much better than Geraldton. 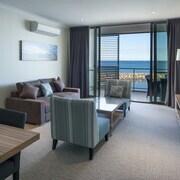 Count on Expedia to connect you with the lowest price around on Geraldton accommodation. Our online booking technology takes the fuss out of tracking down the best deals on everything from luxury resorts to simple motels. What’s more, we have a team of passionate travel experts standing by to answer all your questions. 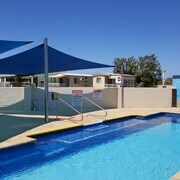 Put an extra dose of sunshine on your face this year by booking a Geraldton getaway on Expedia.com.au today. 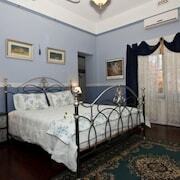 What are the most popular hotels in Geraldton? 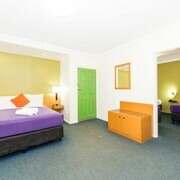 Are there hotels in cities near Geraldton? 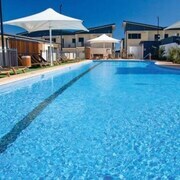 Explore Geraldton with Expedia.com.au’s Travel Guides to find the best flights, cars, holiday packages and more!